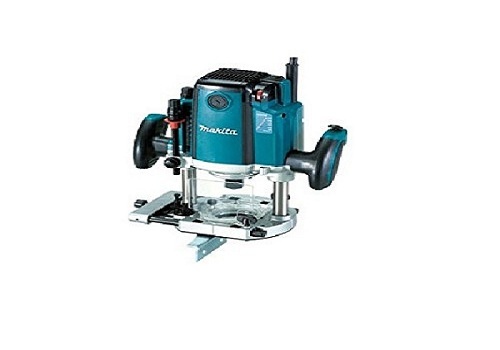 As someone who is interested in woodwork, you might already know what best plunge router is. A router is a power tool used in carpentry and woodwork to hollow out a hard surface. Routers come in two forms, fixed base router and plunge base. Most woodworkers use plunge routers which might seem hard to use at first but are easy to use with enough practice. Plunge routers are perfect for mortising and pattern woodwork. The router works according to the spring mechanism, and release allows for the free up and down movement while the lock locks it at a certain depth. A plunge router is better than fixed routers for sophisticated jigs. It is perfect for delicate inlay pattern as it allows for smooth entrance and exit, unlike the fixed router. It is also best for fine tuning as it allows you to adjust minor changes with ease. Best plunge router usually has a built-in feature that allows you to protect your bits when they are not in use. This will protect your work and your hands when the router is not on. Milling stopped grooves is also so much easier using a plunge router. 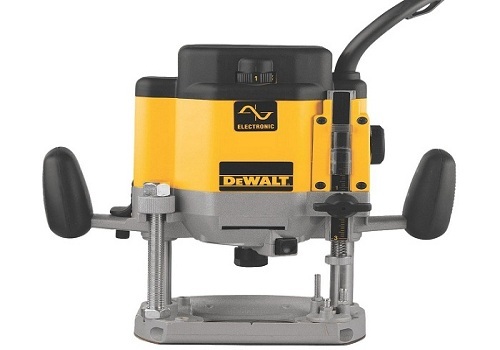 With several models are available on the market, it is crucial to look for the best plunge router available for your woodwork project. How to Choose the Best Plunge Router? Horsepower determines the power of the motor that drives your router, the higher the horsepower, the stronger your plunge router will be. All plunge routers come in a range of power to suit different tasks. Maximum power should be used with tough surfaces to cut perfectly, but they should only be used for a limited time to keep the router working for the longest time possible and to lengthen its life and the life of its different pieces. Collets determine the size of bits a plunge router can adapt. Some routers come with adapters that can accommodate different size of bits as they are used for different routing tasks. Most plunge routers work in gradual speeds as they start slow and become faster as you proceed with work. This is known as soft start and is very useful. When you first use the router, it will not jerk in your hands, which allow you to focus on the quality of your woodwork, and makes the router super safe to use. You need to work in slower speed if you are working with big bits so that work will not shake or jerk. This feature also helps you avoid any nicks that might happen to your work surface or injuries that you might suffer. Small bits can be used at medium or high speeds. All you need to do is to dial your router to adjust the speed to suit better the size of the bits you use. Routers that have a soft start feature will be easier to use and handle especially with heavy cutting, and this will make them super easy to control and use. When your router gains power and speed over time, you will be able to control it easily. This feature allows you to watch the pressure loaded on the motor so that you can adjust the output. This will be particularly useful in case of heavy cutting as the motor will not stall or stop with high power. This feature is very important because you will not be worrying about the router stopping and all you need to do is to focus on your work and how good it is. Your router will keep on working perfectly, and this will lengthen its lifetime. Table routing is likely to happen when you are busy with your woodwork. There are important features that allow for above the table adjustments. 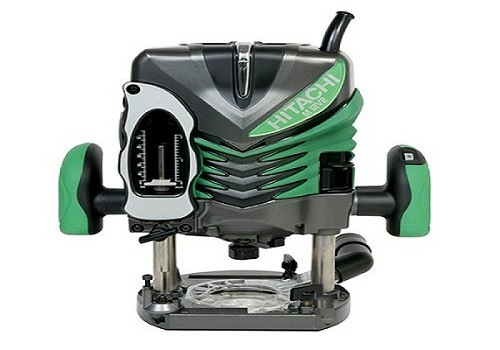 You can get a router that allows you to adjust the cutting depth from above the table. You can do this using a handle or a knob and this will save your time and will make the router super easy to use and handle. You can also get a router that allows you to extend the collet above so that you don’t have to remove the machine to change the bits. These two features and other advanced ones will make your wood work so much better. Getting a router that can be adjusted between fixed and plunge routing will make you get the best of both worlds as you will need both for different tasks. Air vents will keep your motor clean as they will not allow for much dust during the use of the plunge router. Make sure that your router has high RPM as this will ensure that it will work perfectly even with the toughest surfaces and for the longest hours. Get a router that allows for fast and easy bit changes, as this will save time and effort. 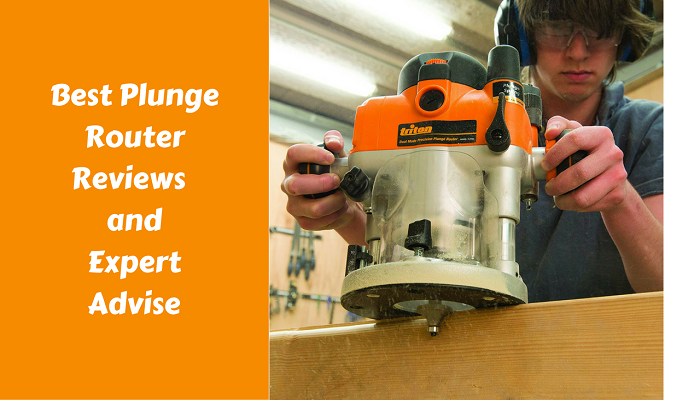 Make sure that your plunge router offers the option to change worn brushes quickly and with ease. A router that can be easily switched between fixed and plunge routing just by a simple switch. Bit change is super easy thanks to an automatic lock. This plunge router allows for continuous depth adjustment with ease and at no time at all through the routing process. It also features a soft start that won’t make your router stall or jerk, and you will be able to adjust the speed to suit better the surface you are working with. 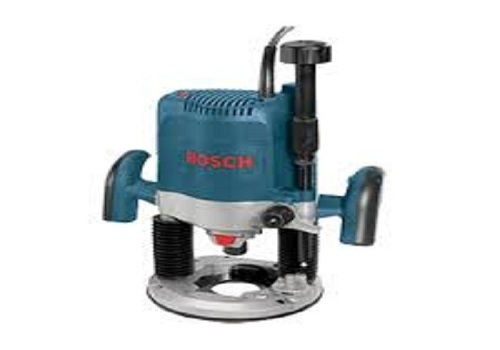 It comes with a tough 3.25 HP that enables it to work with even the sturdiest and toughest surfaces for any DIY or woodwork project you are interested in. It has three per-set depth adjustments for easy functioning. It has a safety switch to lock at bit change so that the router won’t start working accidentally. Removable springs are very useful and allow for bit changes even when the router is table mounted without having to remove the machine. This router is very safe to use thanks to the special guarding. It has air vents are used to minimize dust intake and its effect on the motor. It comes with an adapter for smaller collets in addition to a collet wrench. An easy switch between fixed and plunge routing modes. Depth adjustment throughout the whole process can be done in a no time. A tough motor with a 3.25 HP and high RPM to work with different surfaces. Features 3 pre-set depths settings and an adaptor for smaller collets. Easy change and adjustment while the router is table mounted. Safety precautions and soft start feature to prevent jerking and to provide maximum comfort and security. This aluminium router comes with different handles for different routing modes; the wooden handle comes with the fixed base while the soft grip handle will come with the plunge base. Both modes can be easily switched to suit every type of work you have. It comes with 3.25 HP that is utilized in a big speed range that can go from 8000 to 25000 RPM to suit every working surface you have. The router has a soft start feature so it won’t stop or stall at the beginning and it won’t shake as you gradually increase the speed which makes it super easy to handle and control even by the least experienced workers despite the big size and power this router features. You don’t have to be very good at carpentry if you want to use this router. You can easily adjust the depths all the time by a simple switch to make sure that your work surface is perfectly cut at the correct depth. This model features high-quality materials and technology adapted for the best performance. No matter how uneven the work surface is, the router will maintain its power and speed which ensures that your work will have a professional and excellent finish. It features an easy way to change bits in a glance especially when the router is mounted under the table. It has a dust extraction hood that ensures that the motor casing remains clean and dust free through different tasks as well as a vacuum hose adapter. This fantastic router comes with limited time one-year warranty. Dust extraction hood to keep the router clean. A great horsepower with a wide range of RPM. No stalling or torque despite its weight when the router first starts. This router has a soft start feature so it will not shake no matter what you are using it for and it will gradually increase speed according to your preference to match different types of work surfaces that are used in different DIY projects. It comes with 3.25 HP that is enough to drive this amazing router at different RPMs to suit different tasks and penetrating actions. It also comes with an electric brake, which is meant to increase the productivity of this router. It features a depth capacity that can go up to 2.75 inches to better suit different tasks or surfaces. It has a built in fan system to minimize dust messing up with the motor casing which will affect the life of the motor. It had two rubber handles for maximum control of the grip and built-in LED light to make sure that you can perfectly see your work area. It has three pre-set depth adjustments that will make your life so easy in addition to depth stops that are added for maximum accuracy. Bit change is done without any tools and in no time thanks to the included guide, which will make you able to change them in no time to proceed with different tasks and projects. It comes with a one-year warranty. This product can be returned within 30-days and has limited one year warranty. Maximum control grip and LED light for easy use. Depth stops and three pre-set depth settings for comfort and accuracy. Changing bits has never been easier thanks to the included guide. Soft start features so that your router won’t shake until it gets to its desired speed. A powerful motor that operates at 15 Amp and features 3 HP that can offer a wide range of speed from 8000 to 22000 RPM. It features fine depth adjustment that can be done in no time at all to suit different work surfaces and tasks. It is easy to handle and can function with different collets. It has a dust extraction adapter and a special collect wrench that makes this router perfect for different tasks and projects. The magnified scale and soft start feature will ensure that you can use this router with maximum ease to get the most professional finish to different tasks and projects. The router will not jerk even when you start at maximum speed, and the handles will make this router super easy to use and hold onto. The spindle lock is super comfortable to use. This router comes with limited three-year warranty and a special guide for operating instructions. A motor that has a 3 HP offering a wide range of speed. Fine depth adjustments to suit every task and working surface. Easy to handle with different collets. A dust extraction tool to keep your motor casing clean. Soft start features that ensures maximum stability even with the utmost speed. 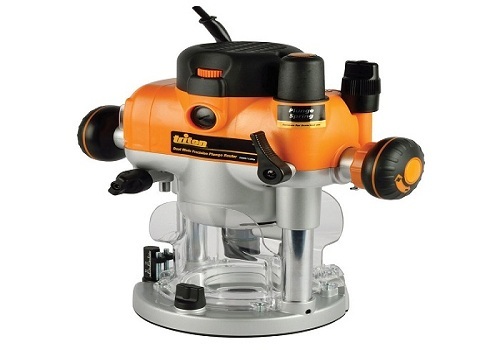 A sturdy 15 Amp motor for maximum 3.25 HP that will provide a wide range of speed for different work surfaces and DIY projects making this router one of the best options available. This range of speed will suit different materials and cut techniques. No torque with start-up no matter how high the speed is thanks to the soft start feature. There will be no shaking when it works, making this router super easy and comfortable to handle and use. The speed will increase gradually, and the router will stay in place which will ensure that you finish your project easily and professionally. It has a variable speed dial that will make changing the speed super easy with no down time or waiting time because it is located in the handle. You will stay focused on the task, and there will be no room for error with this easy to change the dial. The enhanced features of this router will enhance its high performance making it super easy to use even by the least experienced carpenters. Collet change is super easy as it comes with two different sizes of collets to suit different tasks. This router is easy to handle and man oeuvres with different speeds and different work materials. It includes a special feature to keep dust away from your work surface so that it is always clean and easy to see. A lightweight router that is super easy to handle and control. A 3.25 HP that offers a wide range of speed for different work surfaces and materials. A variable speed dial located in the handle so that you can always keep your eyes on the work surface. An easy way to keep dust away from the work surface. A router is an amazing tool that is essential for anyone who is interested in woodwork or DIY projects. There are hundreds of models available on the market that feature different horsepower and a variable range of speed. Different speeds are used with different work surfaces and for different tasks. It is recommended that you choose a router whose speed can be adjusted for different projects and materials. A good option is a router that can be easily adjusted while you can still see the work surface clearly. Some routers also have a LED to keep the work surface easy to see. The soft start option is great as it allows the routers to start working even with maximum speed without stalling or shaking. This makes the router very easy to control and handle. The gradual increase of speed will allow for maximum efficiency and control. Easy depth adjustment is crucial when you are shopping for a Plunge Router, as it will affect how fast you can finish your work and how polished and professional the result will be. We recommend that you get a router that features collet adapters and whose bits can be changed easily so that it can be used for different tasks and work surfaces. It is also useful to get a router that can be used in dual modes, fixed and plunging modes as both are used in different tasks and projects. We strongly recommend that you choose a high-quality plunge router that comes with a warranty and with different adapting parts so that it can be used for different projects and tasks. It’s a remarkable paragraph for all the internet users; they will obtain advantage from it I am sure.